There are two secrets to leading this work. First, you need to have the right icebreaker for the right group of people at the right time. In your role, you need to know how to read the room. A good activity pitched correctly can bring up the energy and change vibes. Second, you have to bring the energy and enthusiasm you want to see in your faculty. If you hate team-building work and approach it with self-conscious hesitation, your team will see right through you. Your sincerity and intentionality will help you get the most out of activities meant to build school culture. What’s the difference between icebreakers and team building? Icebreakers help colleagues enter the meeting space. No matter when you start your meetings, you need to give people time to arrive and time to recalibrate their mindset. An icebreaker can be the type of emotional and social warming up that can make your meeting run more smoothly. Icebreakers are not just time fillers, and they are not just for the beginning of the year. Team building is community work that strengthens colleague connections. A smart principal leverages this work to create new ways to have essential conversations. On index cards, have each person write down two facts and one lie about themselves. Next, have them pair with someone they do not typically work with and share what’s on their cards. Each person must guess what the other’s lie is. At the end, choose three cards to share with the whole community and let them guess which is the false statement. This is a great way for people to disrupt the assumptions that we make about one another. Download or create a bingo card and cut out each square. Fold each one in half and put them in a bowl. Distribute a card to each person at your gathering. Draw the squares from the bowl and read them aloud, letting people mingle as they try to search for colleagues who fit the description you read. Here’s a template, but if you know your faculty well, it might be fun to make your own! Using only non-verbal signals, have your group silently line up in order of their birthdays. Cue the group to place January birthdays on one end of the room to get them started. This is challenging but very fun! At the end, have the person at the front of the line say their birthdate and let the others follow. Knowing birthdays is an important step in building community! If you want to have people connect one on one, offer your group this prompt: Ask them what their dream vacation would be. Where would they go and whom would they bring with them? How long would they be away? After giving them a moment to think, ask them to look for a partner whom they don’t normally work with and share their answers with each other. Pick three groups to share with the entire group. This is a great way to start conversations and have people get to know more about one another. Icebreaker #5: have you ever … ? Were you ever called to the principal’s office? Have you ever gotten an F? As you read the questions, have people observe who steps in or out of the circle. Leverage this icebreaker to encourage empathy and understanding toward the student experience. This is a quick and fun way to energize the entire room. Ask each person to turn to a neighbor and do three rounds of rock-paper-scissors. When the winner is established, the person they defeat becomes their biggest cheerleader. They will find another winner/cheerleader pair and compete again, and the winner gains the loser and their cheerleader as their personal cheering section. Repeat until there are two people left and have them compete in front of the entire faculty. This is an incredibly fun game to play with a large group. Create funny school-related categories (for example, Late Pass, Pizza Day, and State-Mandated Assessment would be hilarious) and write them on slips of paper. Break the group into two and decide who will go first. Each group will have one minute to draw what’s written on the slip. If they can’t guess correctly and after one minute, the other team can wager a guess. This is a great way to improve communication, laugh together, and get the energy flowing. Take your school’s mission statement and make it a Mad Lib! Plug your mission into this generator. Make copies for your faculty and have them pair up. Have volunteers read their statements aloud. 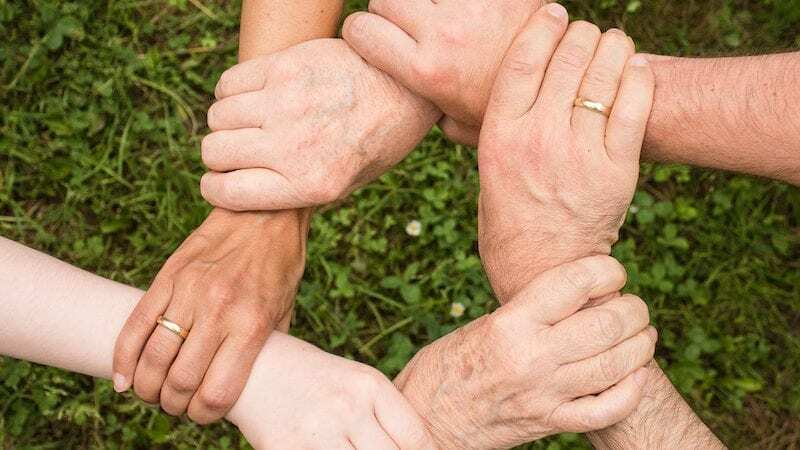 Use this team building activity to launch a thoughtful conversation about your work together and as a way to reconnect with your school’s vision. How comfortable is your faculty with having conversations with difficult parents? How do your department chairs do with giving hard feedback to colleagues? Build skills with role playing. Break groups into teams and give them a scenario to role-play. Let them work their way through it as others observe. As the scene plays out, tell the players to freeze and solicit feedback and guidance from the audience. This is a great way to brainstorm good solutions to dealing with common conflicts and rivalries that arise between teachers and administrators. Processing these situations together can help grow empathy on both sides. You’ll need a lot of sticky notes for this one! Your group will create a timeline together. Ahead of time, mark the dates of important events at the school and in our country for context and place them on the timeline. Each person will write down the year they started at the school and place it on the timeline. From there, you can launch a fascinating conversation about generational perception and how that shapes the experience of teaching students at your school. The Intercultural Conflict Style inventory is an awesome tool for any faculty. This great resource asks individuals a series of questions that determine their “conflict style,” which describes how they react in moments of stress. Every person will fall into one of four categories. After they have been assigned categories, place them in a square and assign a quadrant to each style. This is a fantastic way to get faculty to see challenging communication in a neutral light and to recognize their own approaches to conflict. When you are brainstorming with your faculty, do you have someone who loves to play devil’s advocate? If you are familiar with improv work, you probably know about the power of “Yes, and …” Have faculty pair off in groups of two. The goal of this activity is to keep the conversation going as long as possible. One person starts out with a statement, and the next person replies with “yes, and … ” as they keep the conversation going. This concept brings a helpful framework to groups that can get stuck when they are thinking about new solutions to challenging situations.